The Coupon Centsation: Hello Kitty Rug ONLY $9.07 Shipped! 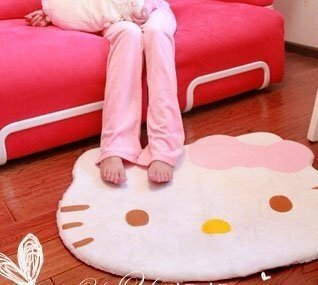 Hello Kitty Rug ONLY $9.07 Shipped! Hello Kitty fans are going to LOVE this SUPER STEAL. Amazon has the Hello Kitty Area Rug for ONLY $9.07 shipped right now. My little girl is going to go WILD over this. She is a HUGE Hello Kitty fan.